As the loaded wagons rumble down the streets of Springfield, Illinois, an air of foreboding sweeps over those who watch the procession. The prosperous Donner brothers and their friend, confident in their preparations, are leading their numerous children and grandchildren on a treacherous 2,500-mile trek to California. 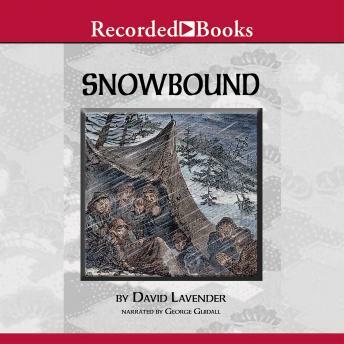 Trusting an overly optimistic guidebook, the Donner Party sets out for the Promised Land in May of 1846-unaware that they're following only rumor-fueled speculations. But after betting their lives on a bogus shortcut, the starving travelers soon struggle to survive the November snows of the Sierra Nevada Mountains. Praying for a miraculous rescue, 48 of the original 88 escape certain death by living off the flesh of their dead comrades. Twice nominated for the Pulitzer Prize, acclaimed historian David Lavender has penned more than two dozen histories-many still considered the definitive works on their subjects. In this riveting saga of hardship, death, and survival, George Guidall's masterful narration holds listeners in rapt attention.